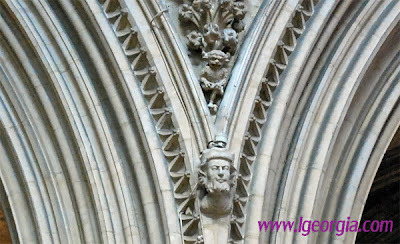 Lincoln Cathedral is one and finest Gothic structures in Europe. It has been a place of worship for nearly a thousand of years (dates built 1185-1311). Da Vinci Code (a replacement to the Westminster Abbey scene as the film wasn't able to get a permit to shoot in Westminster Abbey) and Young Victoria. From London Kings Cross take the National Express Rail service to Edinburgh. Transfer at Peterborough Station. Then take the connection train at Platform 2 to Lincoln. Other connections include Nottingham, Grantham, Skegness, Grimsby and Birmingham. Historical key stages of the Dean's Eye. Close-up of the Lincoln Imp. It is the symbol of the city of Lincoln. Filming of theYoung Victoria in the Lincoln Cathedral. 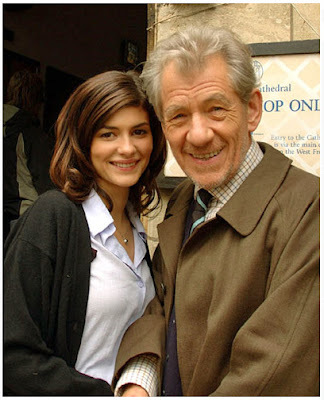 Sir Ian Mckellen and Audrey Tautou while filming Da Vinci Code in the Lincoln Cathedral. 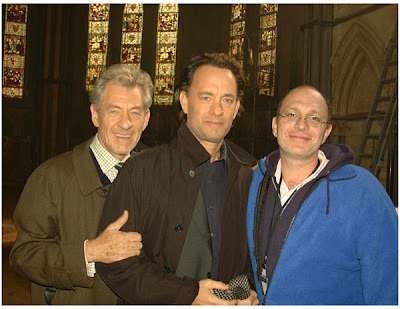 Sir Ian Mckellen and Tom Hanks while filming Da Vinci Code in the Lincoln Cathedral. 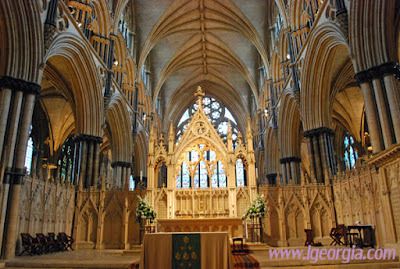 The Lincoln Cathedral is indeed beautiful.